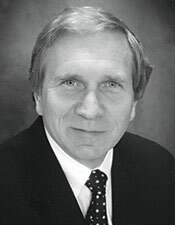 John R. Bednar, DMD, graduated from New Jersey College of Medicine and Dentistry. He gained his certificate in orthodontics from Boston University where he is now an assistant Clinical Professor of Orthodontics. He has lectured both nationally and internationally and co-authored articles and texts on periodontics and orthodontics. He has been in private practice limited to orthodontics for over 32 years.